“Honorific was born from a desire to foster, maintain and preserve the lifestyle of gentlemen and their daily rituals,” Mantas Lesauskas, founder of Honorific, a London-based luxury furniture design brand that’s dedicated to crafting exceptionally well made furniture for tasteful gentlemen, informs me. 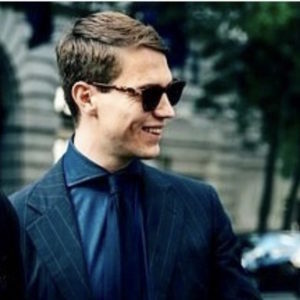 Lesauskas’ perennial fascination for the culture surrounding high-quality menswear impelled him to create the finest piece of furniture a gentleman could need to satisfy his lifestyle. Aside from its beautiful, well-balanced aesthetic it’s also a fitting compliment to pay to your equally beautiful clothing and accessories. It can cater to your jacket, trousers, shoes, hat, watch, rings and anything in between. Sculpted by hand from one piece of oiled American Black Walnut, the oiling process enables the wood to breathe, which Lesauskas reveals “will look after your high quality suit fabrics by removing moisture from them after an active day.” The quality of hardwood which Honorific uses for the valet stand is usually found in high-quality furniture and gun stocks, so it’s no surprise that Lesauskas associates it with embodying “real masculinity”. Finished with a solid brass plate (which can be personalised) and fittings, the metal is synonymous with British industrialism and its distinct golden finish pairs perfectly with the smooth, strong and dark American hardwood. Over time, the valet will develop a very personal patina, courtesy of its quality construction and will better with age. It can also be repaired and re-oiled if necessary. Amazingly, Lesauskas has managed to find the perfect state of equilibrium with its design: the traditional and contemporary, antique and modern — which is a balance that many design houses find complex to strike correctly. But for Lesauskas, who comes from a design background, it’s very simple: “I associate the balance between contemporary and traditional with classical elegance.” His simplistic outlook rings true with The Rake. 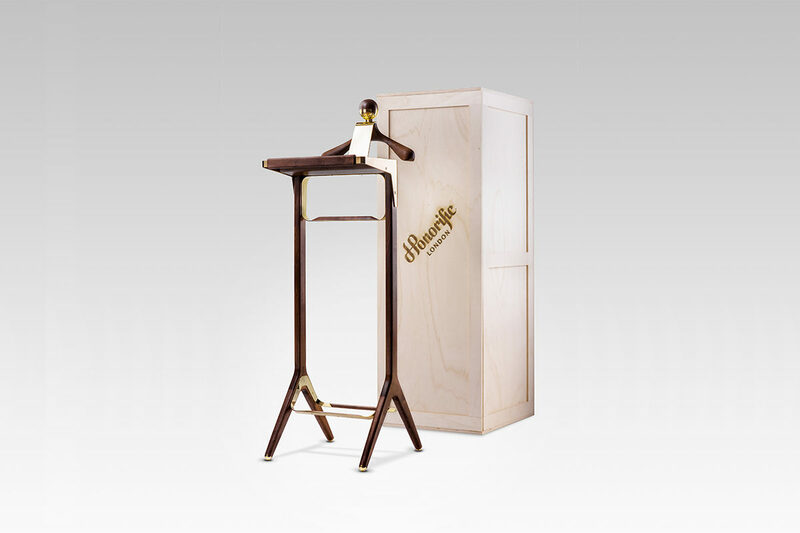 You can easily see Honorific’s valet stand perched in the corner of a four-poster bed, Persian carpet floored, ancient-oak bannister constructed bedroom in a Georgian country estate, or a floor-to-ceiling window height, modern high-rise, state of the art apartment overlooking a bustling metropolises. It’s adaptable and it’s a luxury that your prized belongings are most deserved of. Honorific prides itself on its bespoke service, something we are very accustomed to, and its craftsmen can change, alter and include any element you might desire. But ultimately, it’s a piece of furniture that every Rake should invest in.